T-shirt of the iconic photo of The Smiths taken by Paul Slattery the 16th May 1983 outside the Midland Hotel, Windmill Street, Manchester. Left to right: Mike Joyce, Morrissey, Johnny Marr and Andy Rourke. 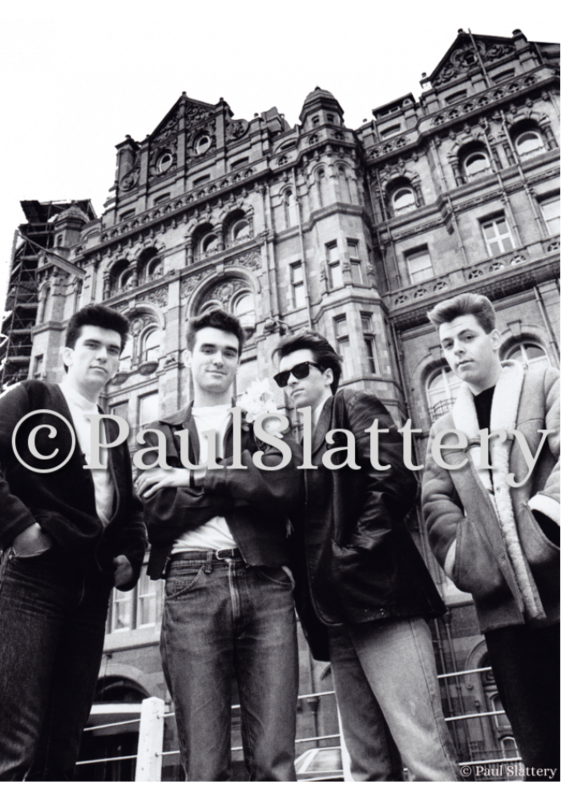 Paul Slattery took photos of The Smiths from the very beginning till end of of 1984. T-shirt of the iconic photo of The Smiths taken by Paul Slattery the 16th May 1983 outside the Midland Hotel, Windmill Street, Manchester.Left to right: Mike Joyce, Morrissey, Johnny Marr and ..
T-shirt of the iconic photo of The Smiths taken by Paul Slattery the 16th May 1983 outside the Midland Hotel, Windmill Street, Manchester.Left to right: Mike Joyce, Morrissey, Johnny Marr and Andy Rou..